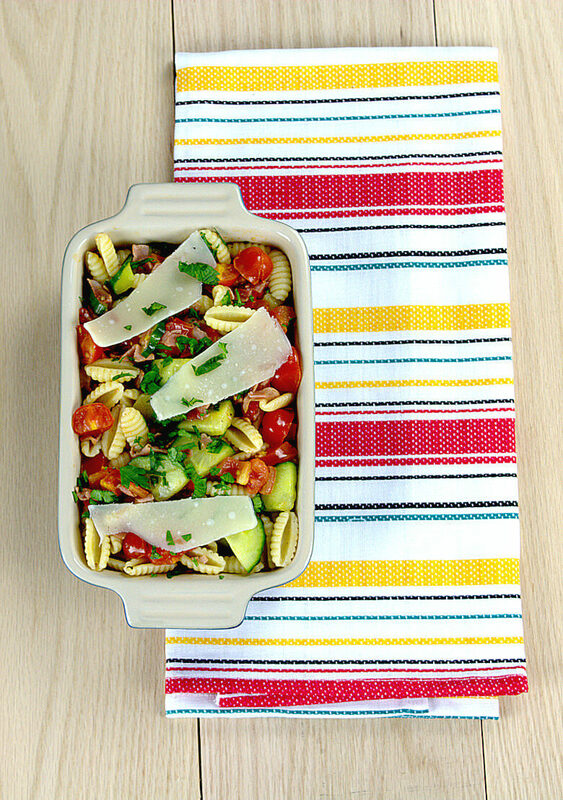 Cucumber, Tomato and Ham Pasta is a simple and quick recipe that brings summer on your table. The cucumber and tomatoes are not cooked, just warmed in the dish, so they are basically raw. This dish gives you the feeling of eating a salad, but you’re eating a warm pasta dish. During the spring and summer months I eat salads frequently, simply because there is so much selection in fruit and vegetables. 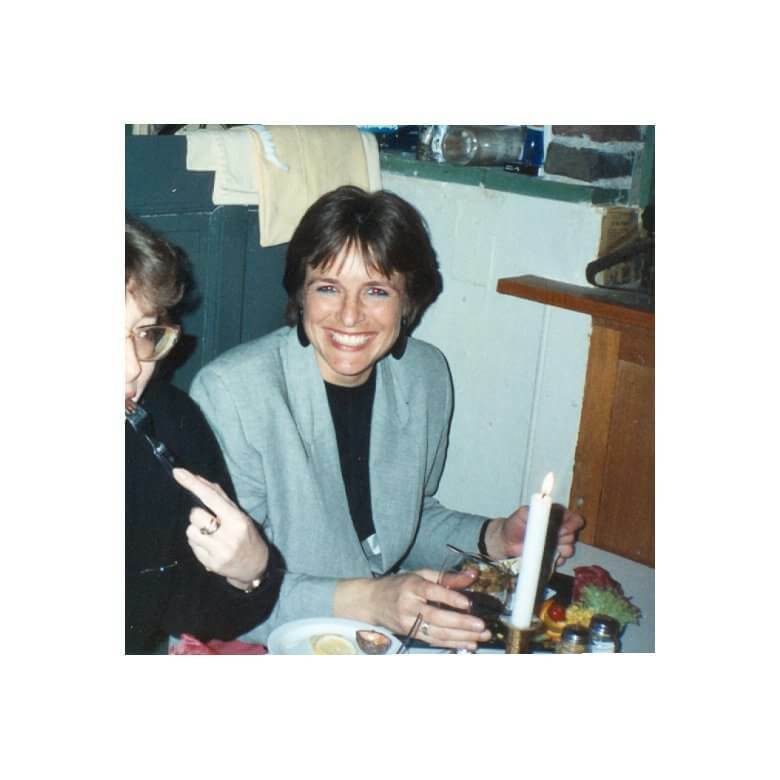 Having said that, I prefer warm dinners over cold, so every now and then I make a lukewarm salad, as a compromise. Today I made a warm pasta dish that has many salad ingredients, but is still a warm pasta dish. Guess what, if you prefer it cold, this would be an easy recipe to serve cold. As said, it has all the ingredients of a pasta salad. I was lucky to find mini San Marzano tomatoes; they are so full of flavor. When I find these tiny tomatoes, I usually buy extra, because during cutting, too many end up in my mouth. 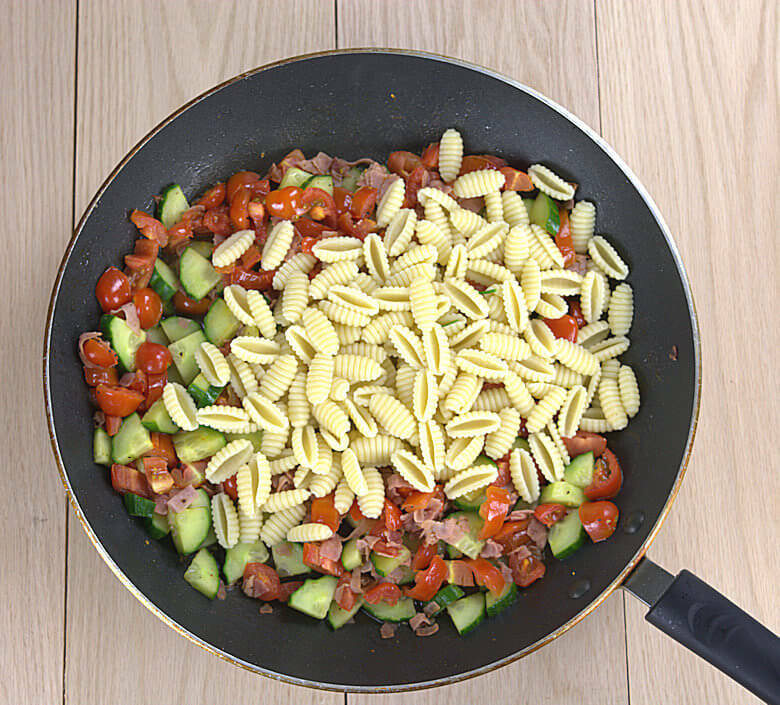 This is how you throw this dish together: wash and cut the vegetables, cut the ham and cook the pasta. Heat oil in a pan and cook the ham, just a little bit. Add the vegetables and warm them rather than cook them. You want the veggies to stay crunchy. When the pasta is done cooking, drain and add to the vegetables in the skillet. By the way, I used Cavatelli Pasta, one of my favorites. I favor small pasta shapes and I love ridges, an ‘extra flavor’. Mix and serve. Add salt and pepper to taste, mix in some parsley. No need for cream oil or any cheese. Keep it light; it is almost summer. If you like cheese, like I do, then shave some Parmigiano Reggiano. Enjoy! Cucumber, Tomato and Ham Pasta is a simple and quick recipe that brings summer on your table. The cucumber and tomatoes are not cooked, just warmed in the dish, so they are basically raw. Wash the cucumber and cut it in quarters and then in thin slices. Wash and cut the small tomatoes and cut the slices of cooked ham. Wash and chop the parsley and grate or the Parmigiano Reggiano cheese. Heat the olive oil in a skillet and add the ham and cook for a few minutes. Add the cucumber and tomatoes and warm in the skillet, do not cook. Add pasta to vegetable mix and add salt and pepper to taste. Why you should have a love-hate relationship with eggs. Is it hard to eat the recommended servings of fruit and vegetables?